Everyone wants to start their own business and become their own boss, but many are not sure how to do it. There are several types of home businesses. Service businesses, selling products, and web based home businesses, just to name a few. In this article I am going to guide you through the process of starting your own web-based home business. I will try to take some of the mystery out of the process. By following this guideline, you will be up and running in very little time without having made a huge investment. First, you need to know what your business is going to do. Will it provide a service? Are you planning to sell products? Those are the two general types of web-based home businesses I will be discussing in this article. If you plan to provide a service, what type of service will you be providing? Will it be provided to people who own websites? Will it be a service that anyone can use or will it be confined to your local area? Ask similar questions of yourself if you plan to sell a product. Will it be a product you sell and deliver locally, nationwide, or internationally? If you choose worldwide, do you know anything about shipping your product overseas? The same applies to nationwide delivery. Do you know the costs associated with delivering your product everywhere in the nation you live in? Once you have answered those questions, you will have more of an idea about how your home web business will eventually be shaped. Next, you will need a domain name. Most people think their company name is the best way to go for a domain name, however, a generic domain name with keywords that are associated to your product or service will serve you much better. You can also register your company name as a domain name and point it to your website, but it is not necessary. The generic domain name can help you with search engine traffic and can be more memorable. It is only one factor of many that will help you with search engine optimization, but it is a step you should take when getting started. Example: cars.com is a better domain name than ford.com, even though ford spent millions to advertise and brand their name. Even cheapusedcars.com is better because people will search for that. You need to find a good domain name registrar, not a cheap domain name registrar. Cheap means cheap in the area of domain names. Your domain name is important. Spending $25 per year to registrar that provide more services and quality VS spending $10 or less at a cheap registrar is what we are talking about here. If that extra $15 per year is going to make or break your home business, then maybe you should not start one. Next, you will need a web hosting service. Again, cheaper is not better. There are good hosting services for $100 per year or even a little less. Anyone that is offering you hosting for less than that should raise a red flag. Choose and pay for your hosting for at least a year, just like you registered your domain name for. If you are going with a monthly plan, you probably aren’t fully committed to your new home business. Now, you have your domain name and the hosting for your new website, but where is the website and how do I get that? You have several options. You can learn html and build your own. You can use a WYSIWYG editor like FrontPage to build your own website. You can hire someone to build your website for you. First, we will talk about learning html to build your own website for your home business. There is a learning curve here. This is the best option of the three I mentioned above, but it takes time to learn. You will probably not be up and running in just a few days with this option. In the long run, it will save you a lot of money to learn html and build your own websites. The more websites you have in your portfolio, the more likely you will have at least one that is a big winner. Writing your own code means you can build a new website as often as you want. Next, building your own home business website with a WYSIWYG editor. (What You See Is What You Get). These editors are similar to making a document. Everything is visual and you do not need to know html. The learning curve for these editors is much less than that of learning to actually code your own website. However, these websites do have limitations. Since the code for the website is auto-generated, it tends to have mistakes. In addition to that, you have to make sure your hosting has the proper extensions to host your website. FrontPage Extensions is the example if you use the FrontPage WSYIWYG. This option will get you up and running faster, but you need to hire someone at some point to fix the code for you so the page will always load correctly and optimally. How your website is viewed in different browsers, how fast your website loads, and how your website looks are all design factors that make a difference to your customers, so weigh each option carefully. 1. If they say they will register the domain name for you, say no. Registering a domain name is not technically difficult. Do this yourself. Many web designers register the domain name at the cheapest place they can find then charge you $100 or more per year for the domain name. Then many of them register it in their own name! This will cause you huge problems if you ever decide not to use their services anymore. The domain name should be in your name always. 2. Ask them what program they use to build your website in. If they are going to use FrontPage or Dreamweaver or other WYSIWYG editor, you may as well build your own home business website. If they do not write html from scratch, then they shouldn’t be in the web design business. 3. If they wish to charge you monthly to run your website for you, be careful. Do not sign yearly contracts. 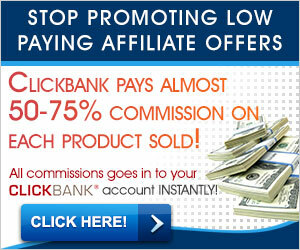 Their job is to build you a home business website. Let them stick to just that. Most designers are just designers. They are not search engine gurus, business managers, or anything else. Hire a designer to design and others to do what they are good at. 4. Do not let them talk you into features you do not need. Just like used car salesmen, they will try to get you to add on a lot of bells and whistles you don’t need. 5. A brochure website is one that is basically designed to just let people know what products or services you provide and to contact you to get more information. Usually, that is a main page, an about page, and a contact page. That shouldn’t cost you more than $500. 6. If you are going to add the ability to buy your product or service by paying for it through your home business website, then it becomes an e-commerce website. Again, watch out for the bells and whistles that the used website salesman tries to sell you. PayPal is a good option when you are first starting out. You can get a PayPal account easily. You can create your own buy buttons and insert them into your website with the code they provide without being an html guru. You can even configure shipping costs and everything else through PayPal for free. They charge small percentages per sale, but the services they provide are worth it. Besides, they have no setup fee or monthly fee like other e-commerce solutions. When your sales volume reaches into thousands of dollars per month, you can look for a better solution, but until then, use PayPal. 7. An old saying among those who make money on the web is “You build the first one for show and the rest for dough”. What that means is this; You will likely be very concerned about the look of your website in the beginning, however design is the LEAST important aspect of your home web business. Many will disagree, but who cares. Let me repeat, design is the LEAST important aspect of your home web based business. A beautiful website with no traffic gets uglier by the day. An ugly website with traffic that makes money gets more beautiful by the dollar. Create a total budget for your home web based business. Spend no more than 30% of that budget on design. Spend the rest on promoting your website, advertising, and other actions that bring you customers. Don’t let some designer talk you into thinking his design is more important than your home business’s success. Now that you have your domain name, hosting, and website up and running, you now need customers. Where do you get them? I have my website, won’t they just find me now? NO, they won’t. There are several things you can do to get traffic. Do not fall for all the scams out there that tell you they can send millions of hits to your website for just a small fee. There are a lot of traffic scams. The traffic is usually auto or bot generated traffic and will do you no good in selling your product or service. You can buy Adwords from Google, MSN (coming soon), or Yahoo. That sends you traffic from people who search for specific keywords. Be careful about bidding on these and set your spending limits low until you see which keywords are paying off for you. You can purchase links on popular websites that are related to your product or service. Again, start with a small text link and a small budget until you find which of those links are actually sending you traffic that is converting to sales. If one is producing sales, expand on that one. If one is producing nothing, drop it. It’s like running an ad in the newspaper, on TV, or on radio. If it isn’t bringing you business, you get rid of the ad. You can write articles on topics related to your products or services like the one you are reading now. Your links go into the box below, just like mine here. You submit your articles to article submission websites. They provide it to other webmasters that want to use your article as free content for their website. Each one that picks up your article becomes another link to your website. This is the best method of marketing in my honest opinion. Posting in related forums and blogs with your home business link in your signature can produce more targeted traffic for your website. More traffic does not mean better. Targeted traffic means much more and converts to sales more often than traffic you might get from unrelated websites, so stay focused on blogs and forums that relate to your topics. I hope this article has helped you realize what it takes to start your own home business on the web!